Digital maps can serve as discussion pieces when there is a laptop or projector around. 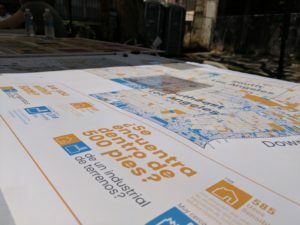 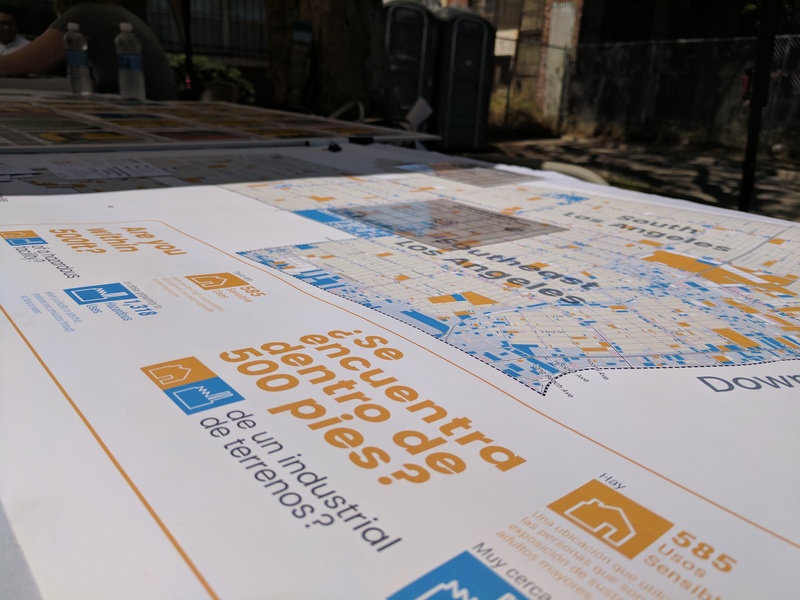 Outside, one needs a printed map and a tool like “Place Me” that residents can use to move around to know more about their neighborhood. 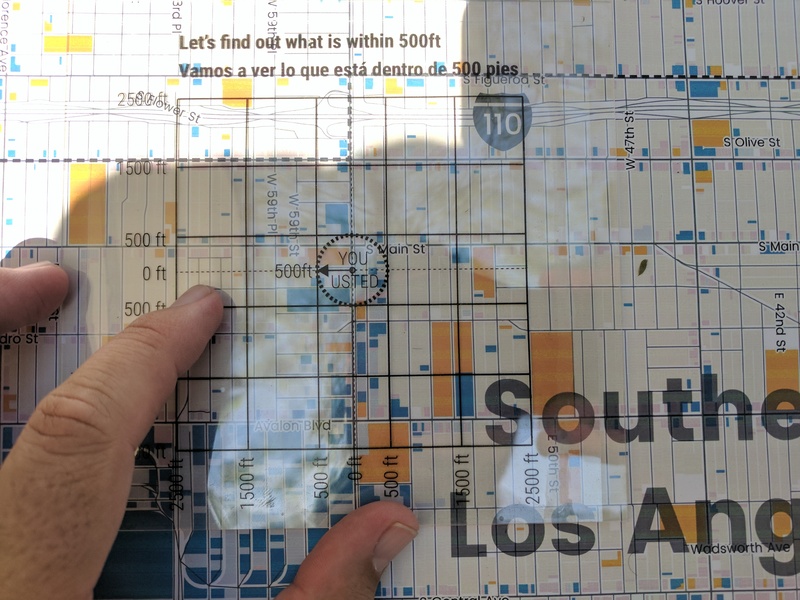 This tool was made as part of the 500 ft project in collaboration with the Physicians for Social Responsibility – Los Angeles to develop a data-driven narrative on health issues in the communities of South Central LA.